Description -Build up your farm as you plant grass and gather eggs and buy new creatures for your farm. 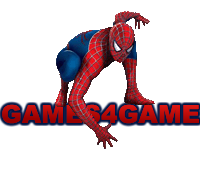 Games4Game.com is your source of the top free online games.This is the best place on the web to play games for free! Our Games include hidden object games, internet games, shooting games, word games, zombie games, relaxing games, driving games, puzzle games, arcade games, and much more. Play Games on the Games4game.com and advice Games4Game.com to your freinds! Search through our site. We've got your free games. With a great community of players and new games everyweek, Games4Game.com has more variety of the best free games than anyone on the web. Hundreds of choices from our hand picked developers, like shooting games, driving games, girls games. If you are looking for great games, simply click on of our games genres: all games, driving games, girls games, animal games, sports games, action games.